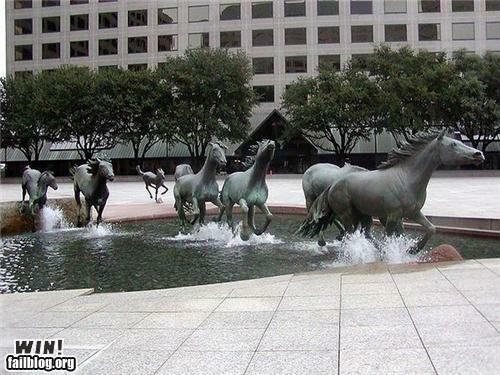 This fountain in Irving, Texas, is nicely done. To give credit where it's due, I saw this in the "Wins!" section of the frequently amusing Failblog.org site.